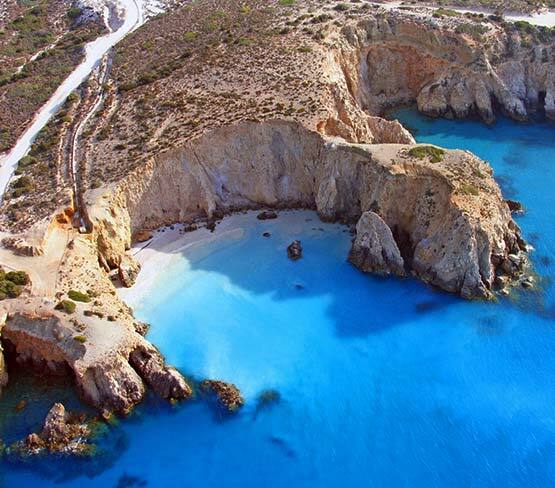 The beautiful island of Milos stands out for its shape, looks like a horseshoe, and its beaches with clear waters and golden sand, wild cliffs with imposing shapes, caves and emerald waters. Important historical and religious monuments, such as the early Christian catacombs, the Byzantine castle, churches and traditional villages. Those unique landscapes complete the puzzle of our island. Adamas, the port of Milos, which is 4 km away from Akrothalassia seaside hotel in Milos, is built inside the homonymous bay and is considered one of the largest and safest natural harbors in Greece. The village boasts a traditional Cycladic architecture and is the most developed tourist center of the island. Here, you can find a variety of restaurants, cafes and bars. Plaka is the capital of the island and is built on a hill above the bay of Adamas. The settlement with the traditional island architecture and narrow cobbled streets, is one of the most picturesque of the Cyclades. You will enjoy walks in the old neighborhoods and the sunset from the castle. 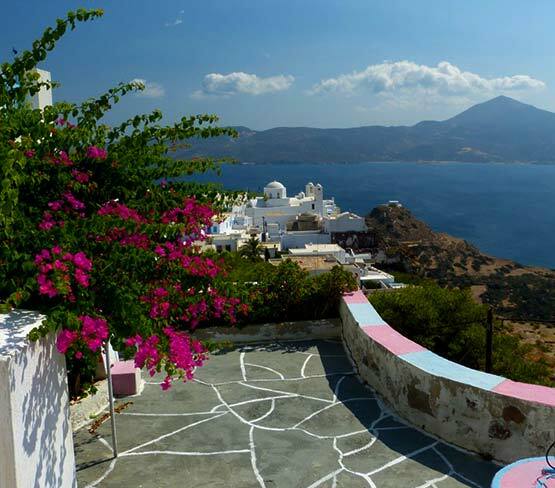 Book your dream vacation at Akrothalassia hotel in Milos!